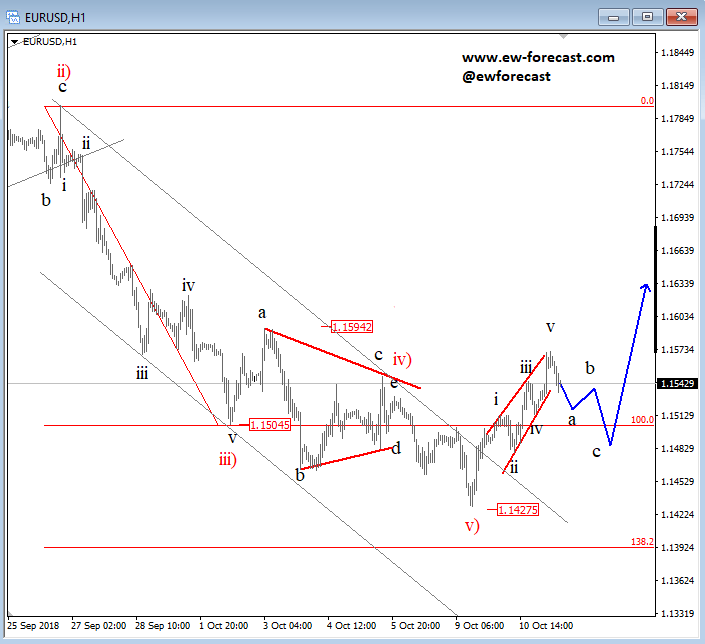 While stocks turned down there was some support on EURUSD which actually turned up in five waves from 1.1427, so I see pair pair establishing a new base which means more upside can be coming after a pullback. There is a chance that pair will resume trend to 1.1650 area while is trading above Oct 09 low. 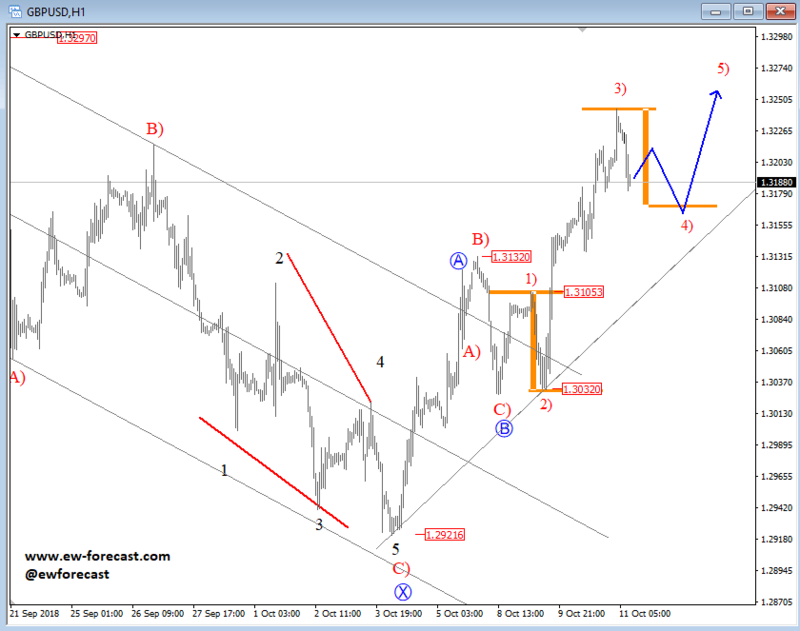 GBPUSD is also in uptrend and may see more upside after a-b-c set-back in wave four. Support for this one is at 1.3160. Interested in active FX Elliott Wave labeled charts on a daily basis. Now its your time; we have Limited Offer; get a 14 day trial for 1€. Check our website www.ew-forecast.com for more details.